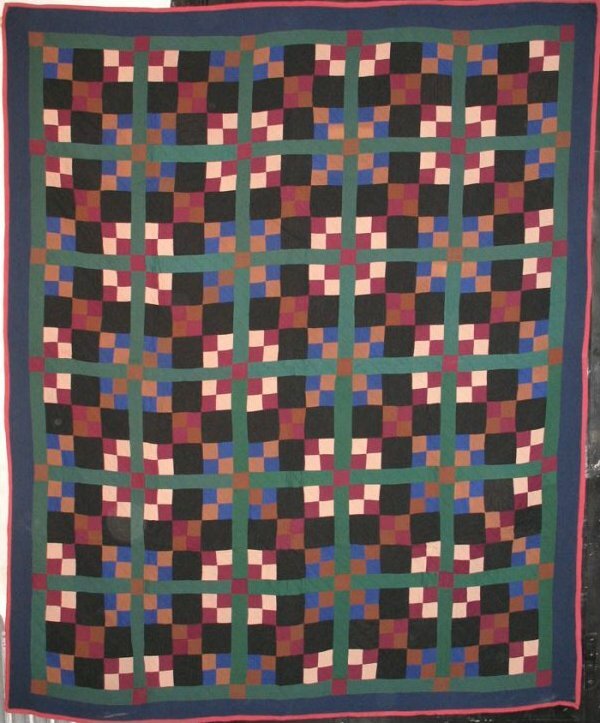 Having written a book on optical illusion design in antique quilts years ago, if I were updating it I would certainly include this interesting Amish example. The placement of the four-patch elements and the careful alternation of the light and the dark tones has created a diagonal grid as well as a square grid of pieces orchestrated by color. These move the eye continually around the quilt surface. Handsome colors, mint condition. Collected in upstate NY, possibly Canadian Amish.